Around the World through Books and Around the World through Movies presented a joint program on Friday, September 23 related to the 2010 Chilean mine disaster. Associate Professor Carlos Ossandon guided a discussion of the book, Deep Down Dark: The Untold Stories of 33 Men Buried in a Chilean Mine, and the Miracle That Set Them Free, and the movie that brings the book to life, The 33, in the Workforce Development Conference Center. 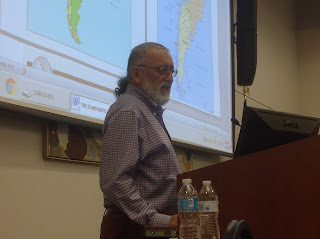 Professor Ossandon, whose connection to the 2010 mining disaster is heightened because he himself is from Chile, provided context about the events before the audience viewed the movie, and afterward answered questions about the film and the people involved. 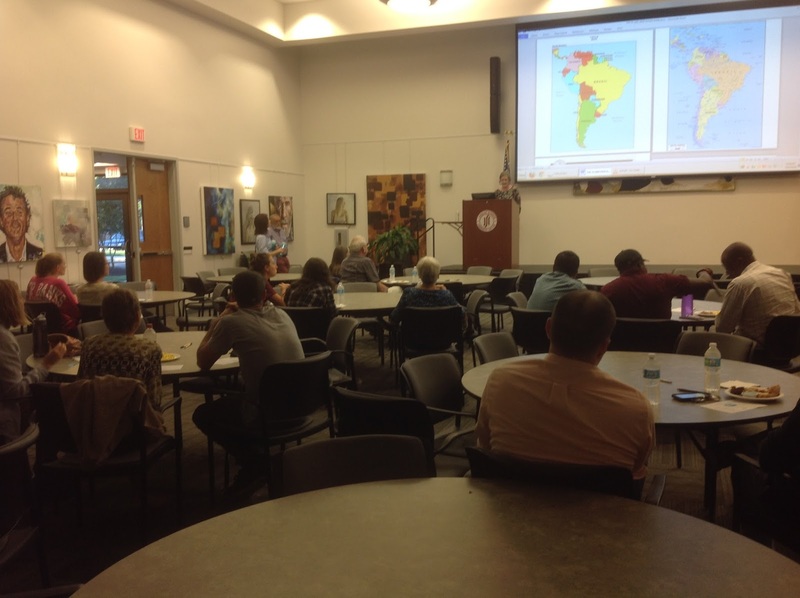 Around the World through Books and Around the World through Movies, two subcommittees of the Multicultural Enrichment Council, sponsored the program. Copies of the book and the movie may be checked out from Reynolds Libraries. The next MEC event will be a discovery of the Hindu festival Navratri on Tuesday, October 4, from 11 a.m. to 1 p.m., at the Downtown Campus, in the Community Room. MEC events are free and open to the public. In celebration of Safety Month, the Reynolds Police Department sponsored a Safety Fair on Thursday, September 22 in the courtyard between Burnette Hall and Georgiadis Hall on the Parham Road Campus. Students, faculty and staff were treated to samples of BBQ ribs, a dunking booth, free vehicle etching and an Emergency Responders job fair. It wasn’t hard to find the contestants for the BBQ ribs cook-off – all you had to do was follow your nose! Representatives from the Reynolds Police Department, Reynolds Culinary program, the City of Richmond Police Department and the City of Richmond Fire Department competed for top honors. The City of Richmond Police Department took home the trophy. The dunking booth benefited the Carol Adams Foundation, an organization providing emergency assistance to women and children who are victims of domestic violence. Associate Vice President for Human Resource Corliss Woodson and Reynolds Police Officer Amy Olivieri were the good sports who took a soaking for a good cause. Representatives from the Virginia State Police HEAT (Help Eliminate Auto Theft) unit were on-site etching VIN numbers on to auto glass for participants. The VIN etching process uses a chemical to permanently mark glass and only takes about 10 minutes to complete and doesn't affect the appearance of the vehicle. Sponsored by the Henrico County Police Department, the vehicle etching was free. The Emergency Responders Job Fair took place in the commons area of Burnette Hall. Representatives from Henrico Police Department, Chesterfield Police Department, Richmond Police Department, Henrico Fire Department, and Chesterfield Fire Department met with those considering a career in law enforcement and/or fire science. The opportunity to attend college and have a successful career and family can signify the fulfillment of a lifelong dream for some people. In order to achieve that dream, there is an expectation that certain sacrifices involving time and effort will need to be made. For some people, even more may be required in the pursuit of the American Dream. Reynolds alumna Lynette R. Goode knows all about the many hardships that people can encounter while pursuing that American Dream. Although Lynette has enjoyed success as an author, motivational speaker and CEO of her own non-profit organization; she has encountered a litany of obstacles in pursuit of her goals and dreams. Lynette has suffered with obesity throughout her life, stemming from her childhood years and into her adulthood. This eventually led to bouts of depression and overall failing health because of her weight. This prompted Lynette to pursue gastric bypass surgery. Complications from the gastric bypass surgery required Lynette to have 48 separate surgeries over the next 12 years to correct the numerous issues she received from the gastric bypass. Unfortunately, due to the numerous surgical procedures Lynette had to endure, she became addicted to opiates. Lynette was able to persevere though and beat her opiate addiction while continuing to better herself by continuing with her studies and career as well as becoming a wife and mother. During her time at Reynolds, Lynette earned a Substance Abuse Counseling Education Certificate followed by a Human Service Associate degree in 2014. This ultimately led to the development of Lynette’s non-profit organization Drugs, Education, Obesity and Nutrition (DEON) which provides scholarships to at-risk youth and brings awareness to childhood obesity. 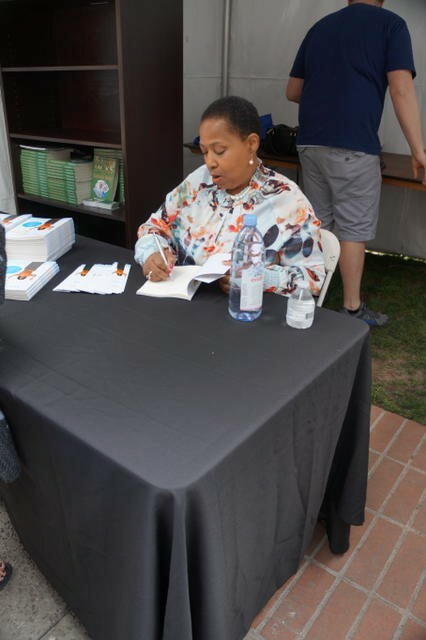 Lynette also uses the book she wrote “Determined to Live” as a way to share her struggles with people experiencing the same issues that she has encountered with obesity and depression throughout her life. Lynette is a graduate of Southampton High school in Courtland, Virginia and lists among her many accomplishments her marriage to husband Tyrone and being a good mother to her daughter Tiffany. Lynette also has a bachelor’s degree in psychology from Virginia Union University and serves as a board member for a myriad of community organizations. Lynette says that if there is one thing she could share with Reynolds students, it is to never give up on your dreams. Her motto is a simple one ““Always Keep Faith and Hope Alive”. This article was provided by Reynolds Communications Intern Derric Cushman. Derric recently completed his master's degree at the University of Oklahoma. He is a graduate of the University of North Carolina Charlotte and served as a Navy Mass Communication Specialist where he worked with print journalism, photography and public affairs as well as TV and radio broadcasting at the Defense Information School (DINFOS) at Fort Meade, MD.